Click here to check if your membership is up to date. Fire & Grace & Ash is a trio of virtuoso musicians who create a unique sound blending Bach and Bluegrass and Celtic Guitar. Edwin Huizinga, Ashley Broder and William Coulter join forces to present unique and compelling arrangements of Baroque music and American Fiddle tunes accompanied by the shimmering sounds of Celtic Guitar. Featuring music old and new this trio will take you on a one of a kind musical adventure. The centerpiece of the trios repertoire is Partita Americana, a musical journey through the E Major Partita for violin by JS Bach with detours along the path to gentle and foot-stomping American fiddle tunes. Tickets are also available in person at More Music, Santa Cruz starting June 7. The Celtic Society has been privileged to promote concerts by many of the finest performers of Scottish and Irish music over the years and perhaps none better than Old Blind Dogs. The band has had to tour the USA without their founding member and fiddle player Jonny Hardie for the last few years due to visa issues (perhaps one of the dogs ate it?). We're happy to report that visa issues have been resolved and Jonny is foaming at the mouth at the prospect of marking his territory again in the USA. OBD continues to distinguish themselves as vital, innovative ambassadors of Scots music by subtly and ingeniously expanding upon the very tradition they celebrate in harnessing the rich resonance and timeless themes of the songs and tunes of their homeland and weld them to new rhythmic frameworks, dynamic arcs and textural expanses, This produces a uniquely identifiable sound that reflects the rich heritage of their forefathers, yet comes across as resoundingly fresh and immediate. The New World String Project is John Weed (fiddle), Aryeh Frankfurter (nyckelharpa, harp), Lisa Lynn (cittern, harp), and Stuart Mason (guitar, bouzouki). The new quartet presents a lush blend of extraordinary instruments and heartwarming music in the Celtic, Nordic and American folk traditions. Science tells us that cross pollination can result in hybrid vigor and transcend the sum of its parts. Likewise, the vibrant West Coast traditional music community has given birth to the New World String Project. These four highly skilled and well known multi-instrumentalists -- two veteran duo acts -- recently joined forces to create an exciting weave of traditional world music. Ancient and modern sounds mingle freely on Swedish nyckelharpa, Celtic harp, fiddle, guitar, cittern, bouzouki, and more. Singing is also a part of the show, with Stuart Mason sharing his unique arrangements of ballads as old as the hills where he was born. Fiddler John Weed is a classically-trained violinist who has spent the last 25 years immersed in traditional Irish fiddle styles. John Weed and guitarist Stuart Mason also play together in the long-running Celtic band Molly’s Revenge. Celtic harp master Lisa Lynne, who gained international renown via recordings and tours with the label Windham Hill, often performs in a duo with NWSP-mate Aryeh Frankfurter. For years, Aryeh Frankfurter has been delighting audiences around the globe with his passionate, enduring and evocative music on Celtic harp, Swedish nyckelharpa (or keyed fiddle) and other stringed instruments. Stuart Mason is known for his authentic vocals and nimble skills on guitar, mandola, and banjo. Together, these intrepid string explorers take audiences on a thrilling, melodically exuberant musical ride. The Tannahill Weavers are one of Scotland 's premier traditional bands. Their diverse repertoire spans the centuries with fire-driven instrumentals, topical songs, and original ballads and lullabies. Their music demonstrates to old and young alike the rich and varied musical heritage of the Celtic people. These versatile musicians have received worldwide accolades consistently over the years for their exuberant performances and outstanding recording efforts that seemingly can't get better...yet continue to do just that. The Tannahills have turned their acoustic excitement loose on audiences with an electrifying effect. They have that unique combination of traditional melodies, driving rhythmic accompaniment, and rich vocals that make their performances unforgettable. As the Winnipeg Free Press noted, "The Tannahill Weavers - properly harnessed - could probably power and entire city for a year on the strength of last night's concert alone. 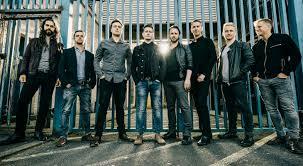 The music may be old-time Celtic, but the drive and enthusiasm are akin to straight ahead rock and roll." Born of a session in Paisley , Scotland and named for the town's historic weaving industry and local poet laureate Robert Tannahill, the group has made an international name for its special brand of Scottish music, blending the beauty of traditional melodies with the power of modern rhythms. Over the years the Tannies have been trailblazers for scottish music, and their tight harmonies and powerful, inventive arrangements have won them fans from beyond the folk and Celtic music scenes. Inducted into the Scottish Traditional Music Hall of Fame in 2011, they are firmly established as one of the premier groups on the concert stage. From reflective ballads to footstomping reels and jigs, the variety and range of the material they perform is matched only by their enthusiasm and lively Celtic spirits. As they tour their 51st year, the Tannahill Weavers are joined by dynamic young fiddle player Malcolm Bushby, and inimitable piper Mike Katz of Battlefield Band fame. They are firmly established as one of the premier groups on the concert stage - from reflective ballads to footstomping reels and jigs, the variety and range of the material they perform is matched only by their enthusiasm and lively Celtic spirits. For over 30 years Kevin Burke has been enthralling people around the planet with his performances & recordings, at the same time as influencing an entire generation of fiddlers with his unique, sly spin on the silken-smooth Co. Sligo style of Irish fiddling. Kevin has been a member of such illustrious ensembles as the Bothy Band, Open House, Patrick Street & the Celtic Fiddle Festival & formed notable musical partnerships with Micheal O’Domhnaill & Cal Scott. This special solo concert in an intimate house concert setting will give full flavor to the force & frolicsomeness of Burke’s fabled fiddling & his wicked sense of humor in tune introductions & stories. The hugely popular Irish Christmas in America show, now in its 14th season, features top Irish music, song and dance in an engaging performance rich in history, humour and boundless energy. Produced by Oisín Mac Diarmada of award-winning lrish group Téada, the 2018 tour brings back the amazing Séamus Begley, (TG4 Traditional Singer of the Year) along with the immense vocal talents of Sligo’s Niamh Farrell. Help us to continue bringing world class Celtic musicians to the area by becoming a member. Individual and family memberships are available, starting at $20 per year. These events are not sponsored by the Celtic Society. If you have any questions, please direct them to the contact information in the event listing. Check out the Americeltic and Irish Culture Bay Area events calendars for more local events. 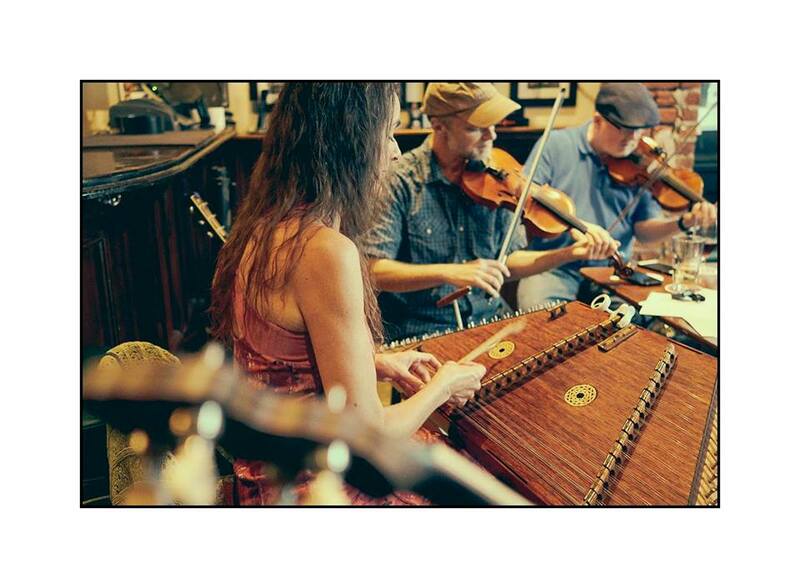 A traditional Irish seisiún for experienced Irish style musicians every Tuesday evening. The South Bay's longest running and only up-tempo seisiún! Please visit us on Facebook (https://www.facebook.com/OFlahertys.Irish.Seisiun). 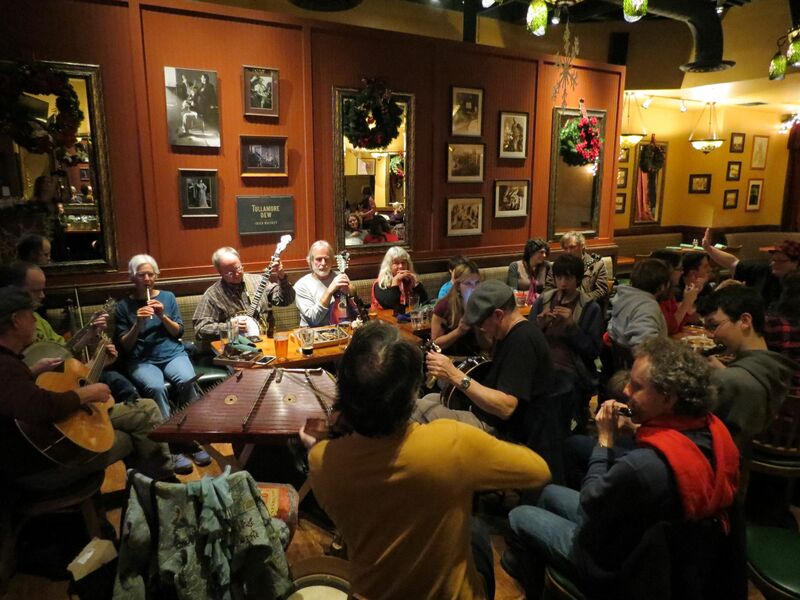 Join the Santa Cruz Traditional Irish Seisiun every Thursday for lively Irish tunes and songs in the spirit of the tradition. Hosted by Julie Horner, David Chadwick, and Mark McCornack. All ages welcome, bring the family for dinner and stay for the taste o' the pure drop. For more information, visit www.facebook.com/SantaCruzTradIrishSeisiun, or www.meetup.com/Santa-Cruz-South-Bay_Irish-Music-Meetup/. With acclaimed fiddler Alasdair Fraser at the helm, the San Francisco Scottish Fiddlers will get your toes tapping and your heart pumping with their driving tunes, lyrical songs and intricate dances deeply rooted in the Celtic tradition. Over one hundred fiddles, cellos, guitars, harps, piano and percussion! “It’s like a dance party in a concert hall! 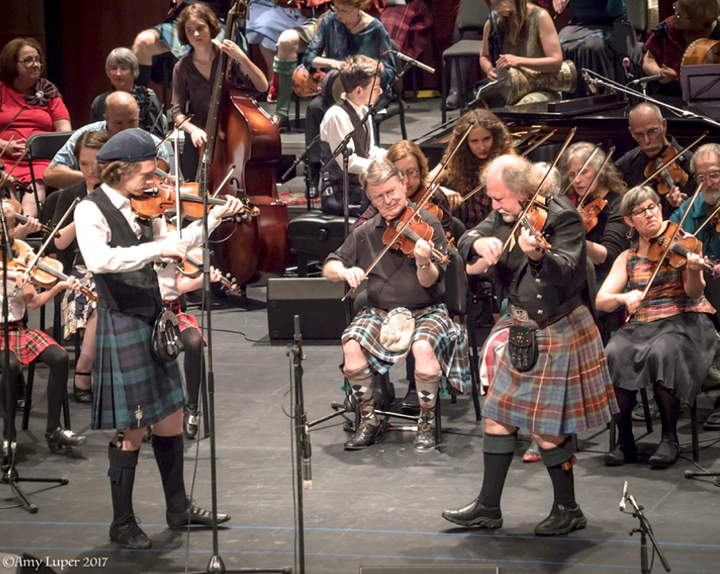 … the massed SF Scottish Fiddlers are an experience not to be missed” – San Francisco Chronicle. Dancing in the aisles or in your seat is encouraged! For tickets go to www.sfscottishfiddlers.org. This moderate-to-fast tempo session happens every Saturday from 1pm - 4PM. We play outdoors on the East Side of Main Street -- approx address would be 425 Main St -- between the Half Moon Bay Electric store and the Half Moon Bay Wine and Cheese Company. Celtic/Old-Time. All players welcome. With acclaimed fiddler Alasdair Fraser at the helm, the San Francisco Scottish Fiddlers will get your toes tapping and your heart pumping with their driving tunes, lyrical songs and intricate dances deeply rooted in the Celtic tradition. 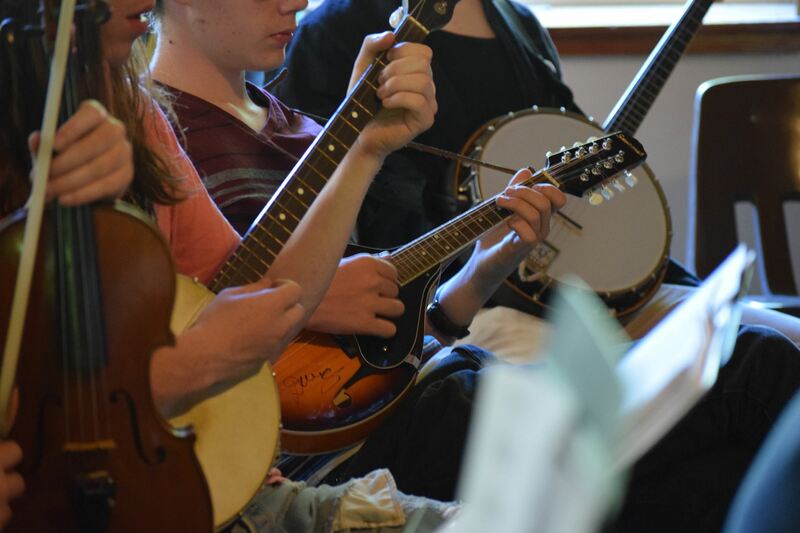 Over one hundred fiddles, cellos, guitars, flutes, harps, piano and percussion! “It’s like a dance party in a concert hall! … the massed SF Scottish Fiddlers are an experience not to be missed” – San Francisco Chronicle. Dancing in the aisles or in your seat is encouraged! If you can count and skip and tell your right hand from your left, you can begin doing the easy dances immediately. This form of dance does not require fancy footwork or a high level of coordination. This is an excellent place to learn, even if you’ve never done any folk dancing. Beginners are very welcome. Come and join in the fun on the second Thursday of every month. Get your Celtic music fix and support our local radio stations by listening to the following programs. Do not click/tap the Charge my card button more than once unless instructed as it will result in duplicate charges to your credit card. We do not store or share any of your personal information. Card payments are encrypted and securely transmitted to Stripe who comply with all PCI regulations. Your file is more than 1024kb in size, please pick another file. File must be of type jpg, jpeg, png, or gif and no bigger than 1024kb. We send out a monthly newsletter, individual concert reminders, and occasional special news. Please enter the email address you use for membership. We'll send an email to it with your membership status.